A beautiful scenic flight from the Shoalhaven River down to Jervis Bay, Callala Bay and Huskisson, before returning to Wharf Road Bar and Restaurant. 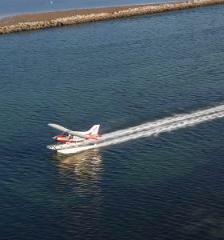 An unforgettable experience of the beautiful Nowra area from the unique perspective of a classic Seaplane! The ultimate special occasion. Take in stunning views of the Shoalhaven, before returning for a banquet menu and champagne at Wharf Road restaurant. The perfect special occasion surprise! 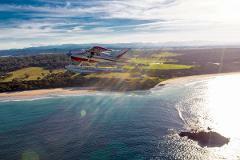 This package includes a spectacular seaplane flight for two from Wharf Road Bar and Restaurant to Jervis Bay followed by a cocktail.